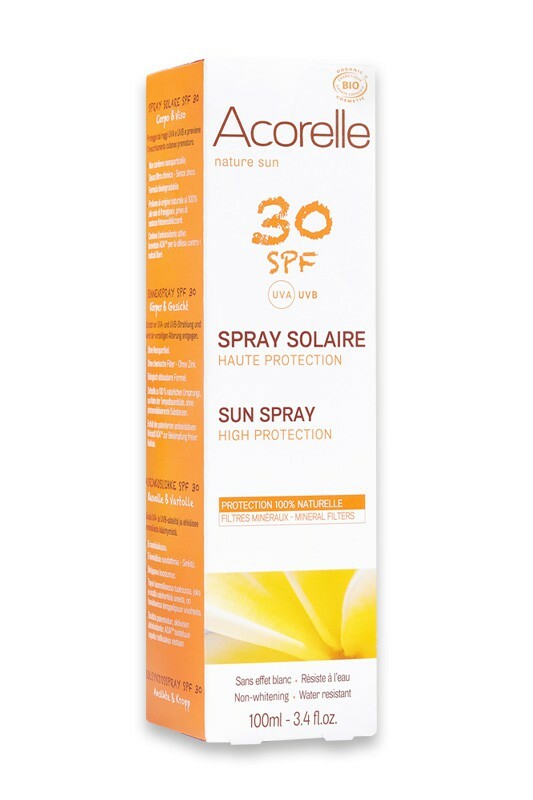 Acorelle Organic Sunscreen Spray provides SPF 30 protection for face and body against UVA and UVB rays. Delicately scented, its natural formula combines a mineral sunscreen as protecting shield with organic argan oil to nourish skin. 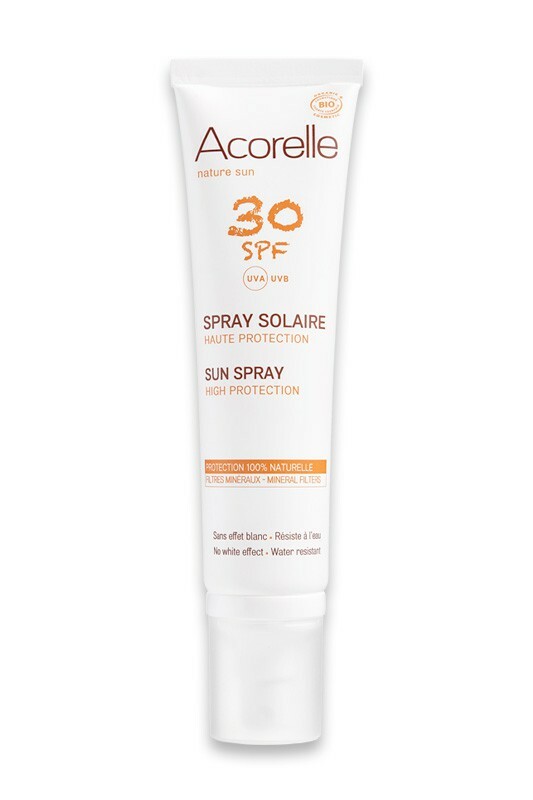 Non-sticky and water-resistant, Acorelle Natural Sunscreen Spray's lightweight texture is quickly absorbed with no white-effect ! 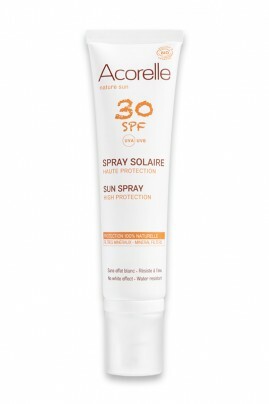 This 100% Natural Sunscreen is perfect for you and your family !